Apparently there’s some seriously bad blood between 49ers receiver Michael Crabtree and Seahawks cornerback Richard Sherman. At least in Sherman’s eyes. 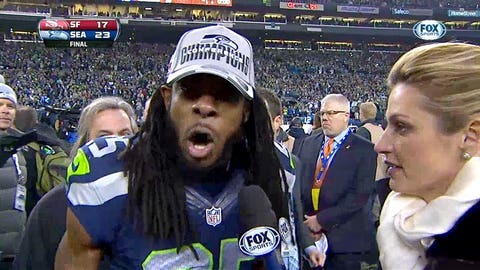 Earlier in the week, Crabtree was asked if Sherman was the best cornerback in the league during a media session. Crabtree answered "No, I don’t think so". Naturally, the game would come down to Sherman swatting away a potential game-winning touchdown pass to Crabtree. The tipped ball resulted in an interception and a 49ers loss in the NFC Championship Game.